We are super excited to announce the launch of WoodsCamp in the Cumberland Plateau region of Alabama. 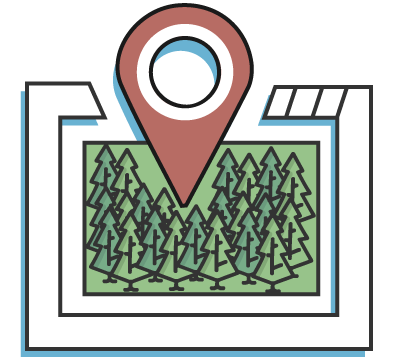 Working alongside our partners at the American Forest Foundation and the local organizations who make up the My Alabama Woods team, we're offering a brand new tool to help Alabama’s landowners maintain the health of their woods. We chose the Cumberland Plateau for our first US launch because it is one of the most scenic and special regions in the Country. From the sandstone plateaus and ridges with carved limestone to the shale and dolomite canyons and valleys, the beauty of this region is hard to miss. Landowners in the Cumberland have a really important role to play in maintaining a healthy future for Alabama’s forests. With WoodsCamp you can discover opportunities that are specifically suited to your land. 61% of this region is covered by forest. The shortleaf pine that once grew across these lands is now only found on 2% of the area it once occupied. Historically, fire maintained these pine forests but as fire has been kept off of the land, shortleaf pines struggle to survive. Alabama has an incredible diversity of plants, animals, and insects - including 144 species found nowhere else on earth! The Cumberland Plateau alone has 55 rare and endangered species. Cumberland Plateau forests support over 28,000 forestry jobs and generate nearly $138 million in tax revenue for Alabama. Learn about the diversity and economic values on your land. Discover opportunities to improve the health of the streams, creeks and waterways around your land. Find out if you have the right conditions to help restore shortleaf pine in the forest. Get connected with local experts who can help you achieve your goals..